Produktinformationen "Steiff-Teddy Bears – love for a lifetime"
Nobody doubts about the fact that the Teddy Bear has been "born" at the Margarete Steiff GmbH Toy Factory from Giengen. He has become the most beloved and successful toy in the world. This book describes the debut of the Teddy-Bear-era which can be provided almost to a day. We were able to present photographs of almost every Steiff Bear, series or edition. A wonderful picture book to inform about the most various types and models. 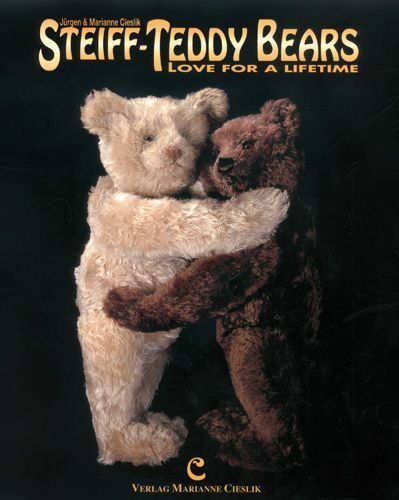 Besides of the almost complete documentation of the Teddy Bears we also present, in picture and text, the Steiff Teddy Bear replicas which have made their apparition on the American, English and German market from the seventies onwards. Weiterführende Links zu "Steiff-Teddy Bears – love for a lifetime"
Kundenbewertungen für "Steiff-Teddy Bears – love for a lifetime"